These cutters having profile which are suitable for the milling of sprockets. The cutters will have radially machine relieved teeth. Specification:We are making chainsprocket cutter as per market standard. We are making chainsprocket cutter with excellent matirial and quality..Our prices will be better in market. 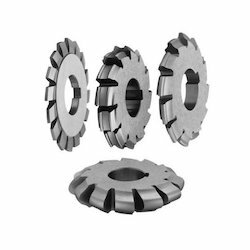 We are a reputed name in the industry, devoted towards offering the best quality array of Sprocket Cutter. Are manufactured in a set of 3 different forms numbered 1 to 3 as per DIN, BS, & ASA standards. These are also specially designed as per customer's requirments. We are well known manufacturers, suppliers and exporters of a wide array of Chain Sprocket Cutter Sprockets that are made as per the international quality standards. These sprockets are highly appreciated in the market for their optimum performance, reliability and durability. In Machine Relieved Forms with the Range from 1/4 to 5 pitch conforming to DIN, BS and American Standards. As per BS set of 3 Cutters will cut all the Teeth on the Sprocket Wheel. 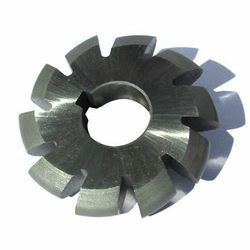 We manufacture and export a wide range of cutting tools such as chain sprocket milling hub cutter.